The 2017/18 Cleaner Neighbourhoods Report is now available to view and download here. 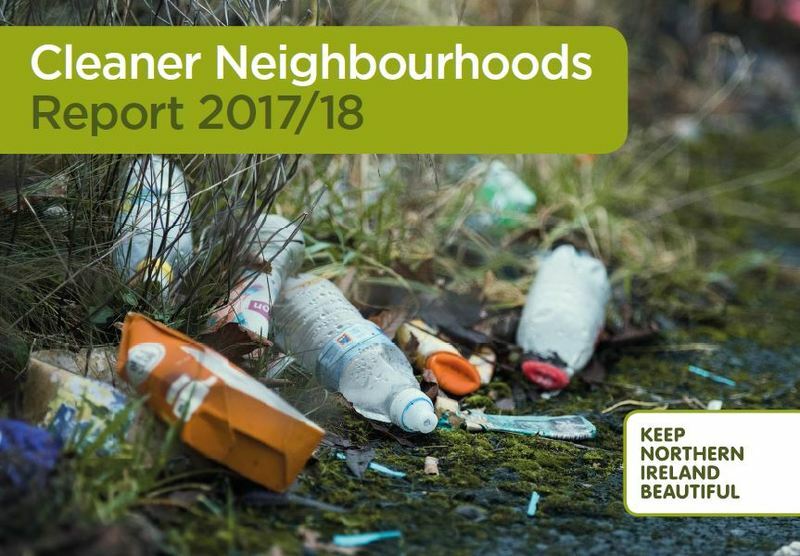 Keep Northern Ireland Beautiful’s Benchmarking Report provides a detailed analysis of Local Environmental Quality data since the establishment of the eleven new councils. Covering littering and dog fouling, education, campaigning, public engagement, enforcement and more it tracks our progress toward a cleaner, greener and more sustainable future. It replaces the NI Litter Survey reports carried out on behalf of the Department for Agriculture, Environment and Rural Affairs since 2006 with a more comprehensive look at the wider picture of litter in Northern Ireland. The report sets out to give clear unbiased information about efforts to educate, engage and where necessary enforce against anti-social behaviours such as littering, dog fouling and graffiti. The full 2016/17 National Benchmarking Report is available to view.